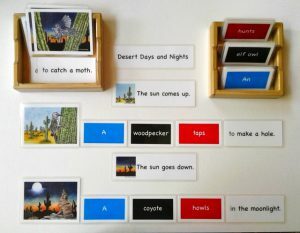 Build a Nature Story activities invite the child to build short sentences on a nature theme using illustrative sentence starters and moveable parts of speech. 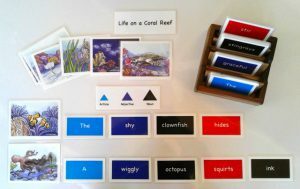 Sentence composition, as well as the elements of a story, can be explored within the context of a dynamic, living system offering many compelling points of interest for story building. 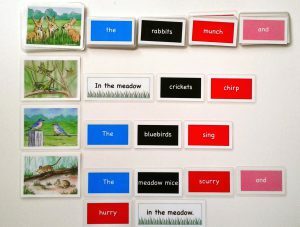 Children can be encouraged to do further reading to enrich their sentences or stories; or to build an original story based on a single illustration.